Koh Phangan information > A belated Happy New Year and Good Diving from Chaloklum! It’s a great relief to be able to offer good diving conditions this January. Looking back to the same time last year on Koh Phangan we were not so lucky! And the dive centre is reasonably busy, principally with PADI Open Water Diver courses and fun diving trips. 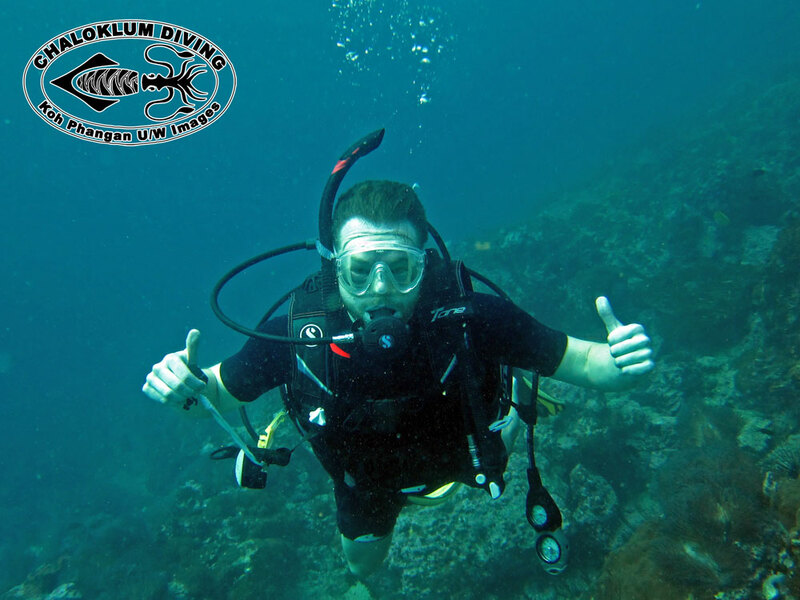 As ever we do also have some PADI Pro training on the go as the mighty Honza works hard to attain his Divemaster rating… Talking of which, congrats to Herr Frank on successful completion of his course – just waiting for that card from PADI! The team will be complete with the return of Chris later this month – Nick’s looking forward to some 2 hour underwater photographical dives with his eagle-eyed buddy (but it’s cold maaan! ).